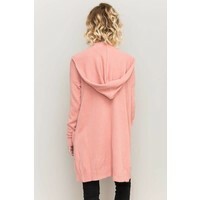 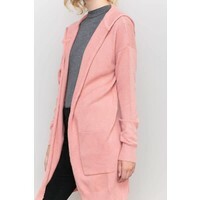 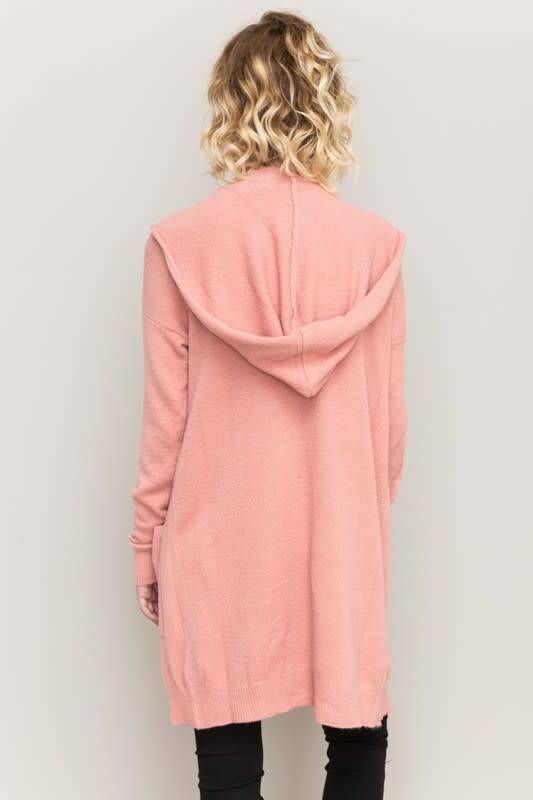 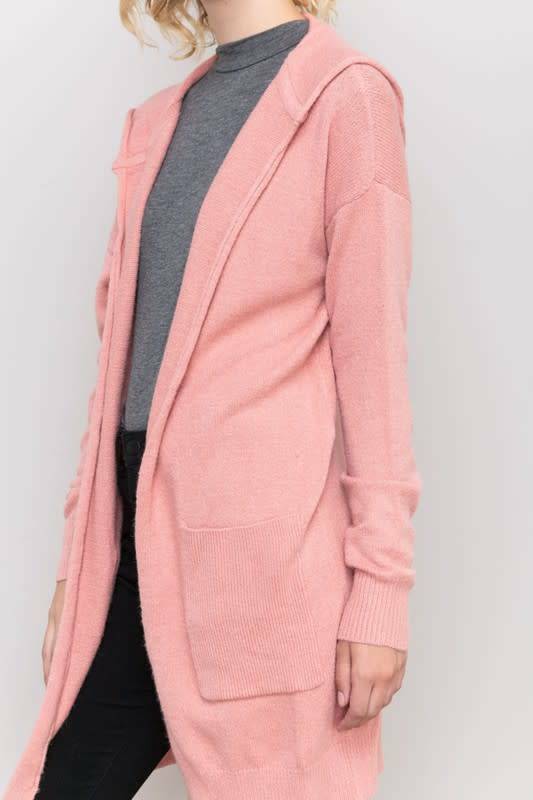 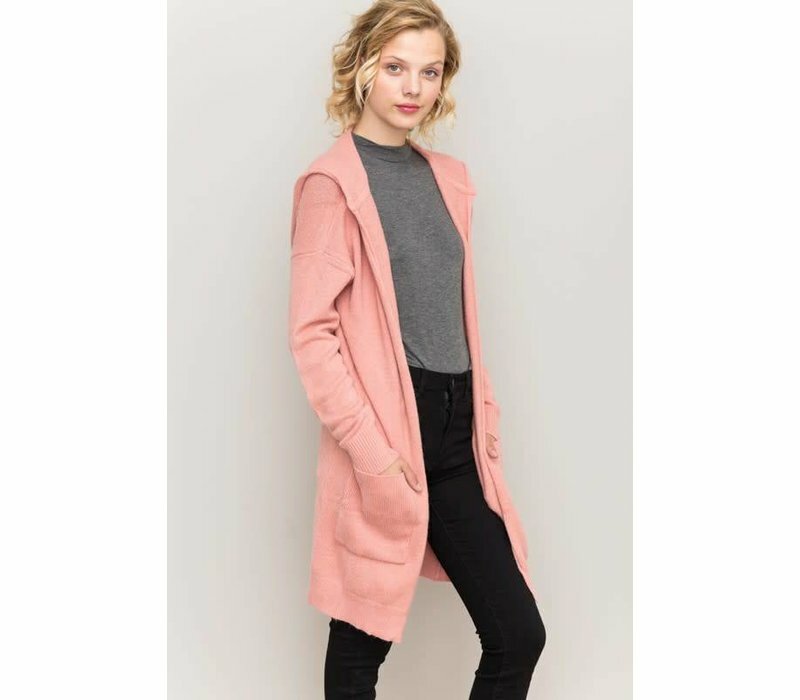 Soft carnation pink sweater cardigan with both pockets and a hood. 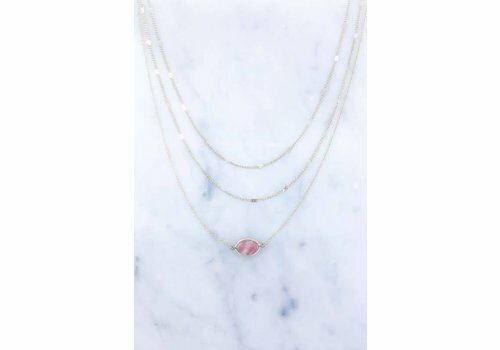 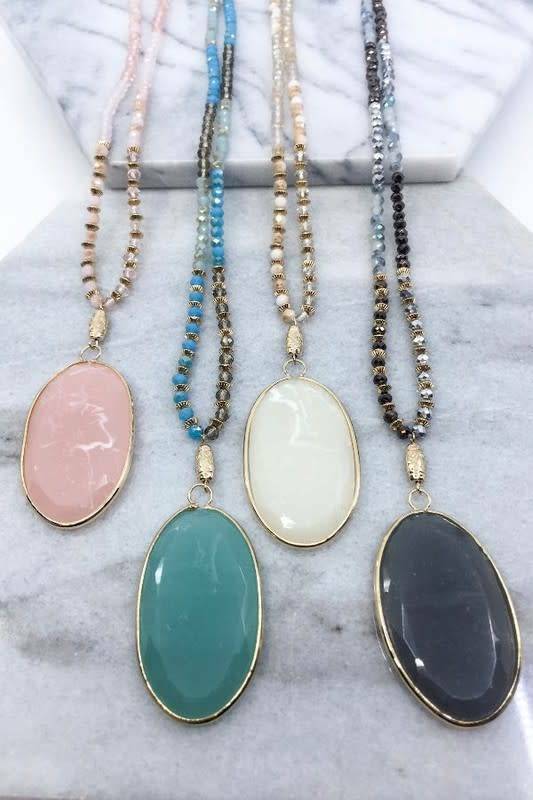 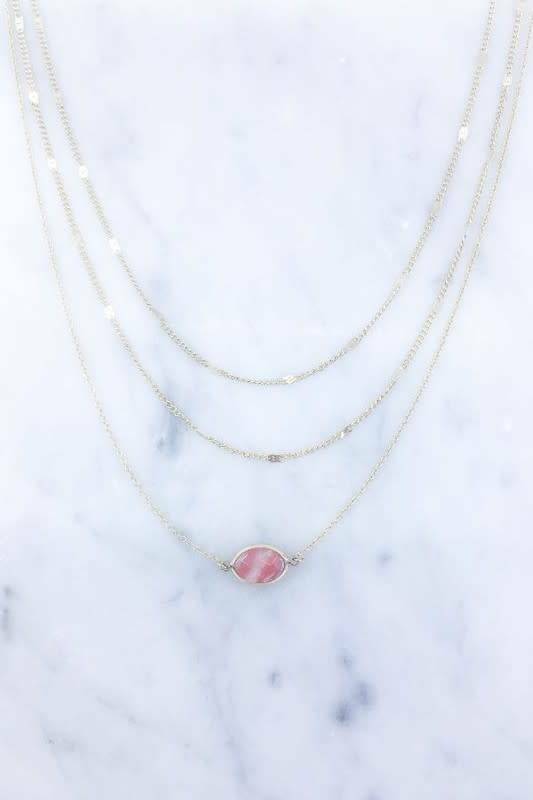 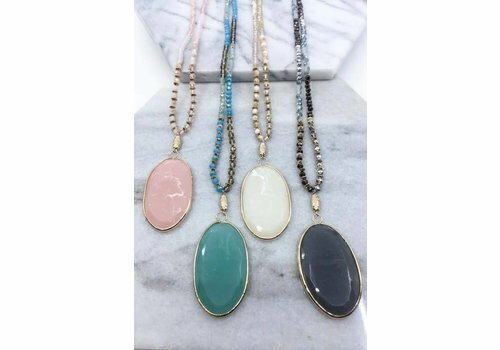 Easy to wear casual with leggings or your favorite denim and boyfriend tee. 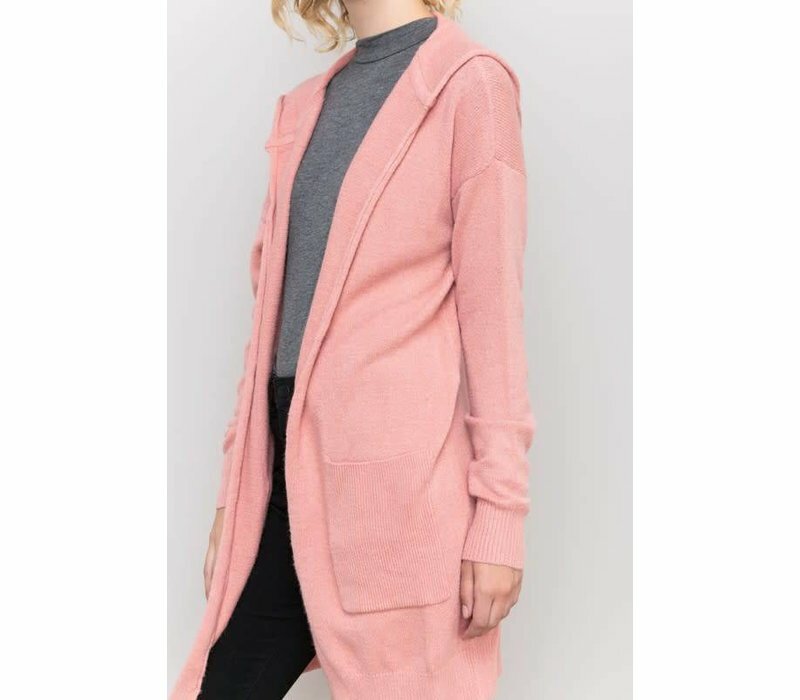 See our outfit suggestion below.